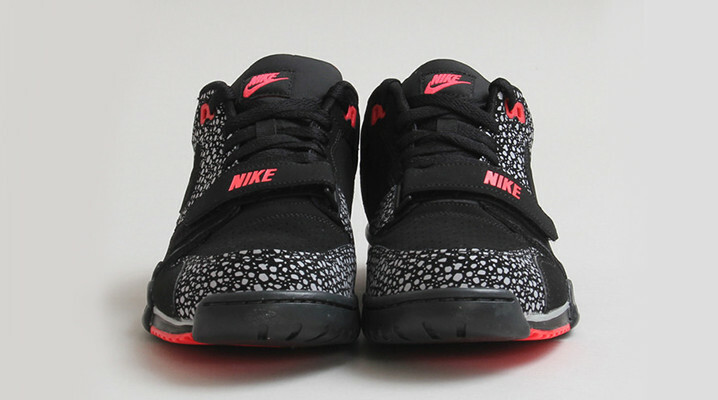 Nike presents a new ‘elephant skin’ print colorway of their Air Trainer 1 Low. 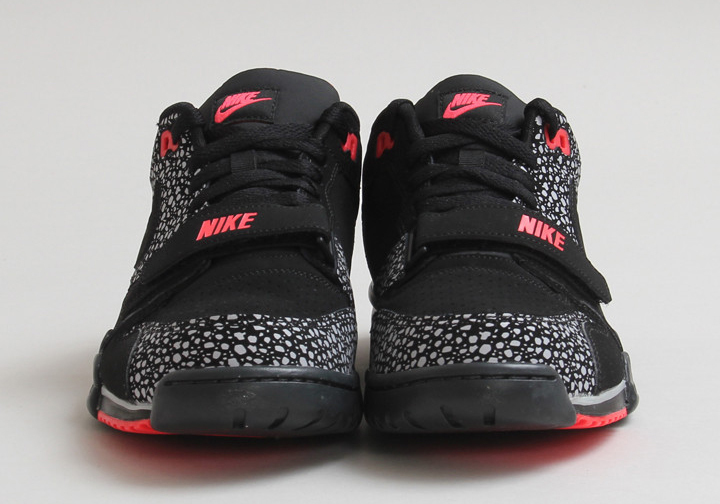 The new colorway features a black suede upper with matching Swoosh, straps, and laces while the pattern is overlayed in a clean Wolf Grey. 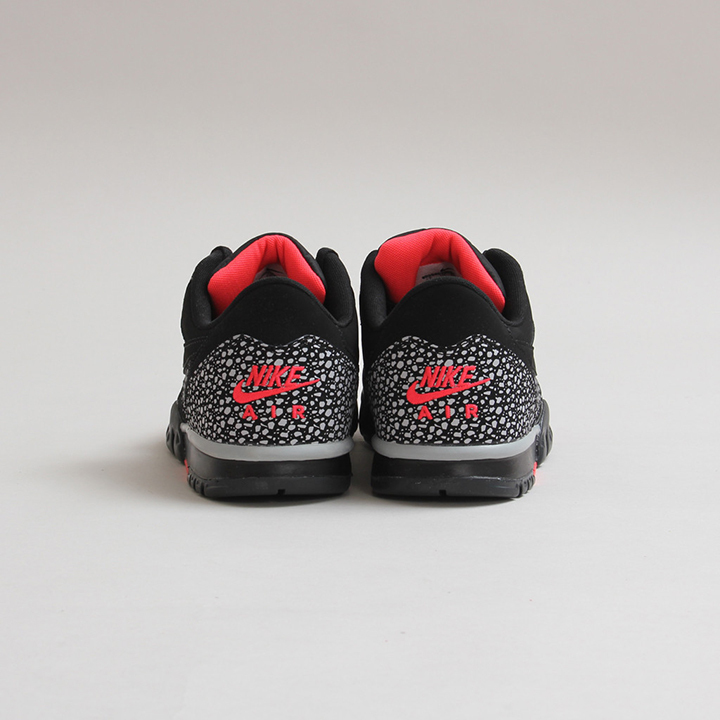 Laser Crimson highlights on the logo, sole, eyelets, and inner tongue help these stand out. 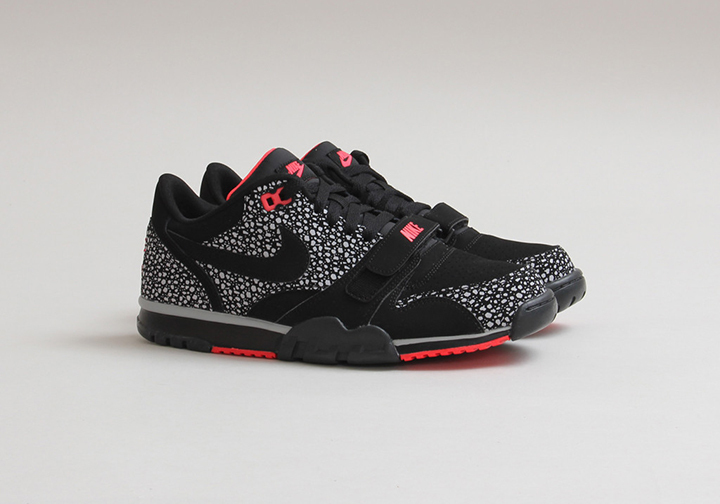 The Nike Air Trainer 1 Low Black/Wolf Grey/Laser Crimson is now available for $90 from Concepts.